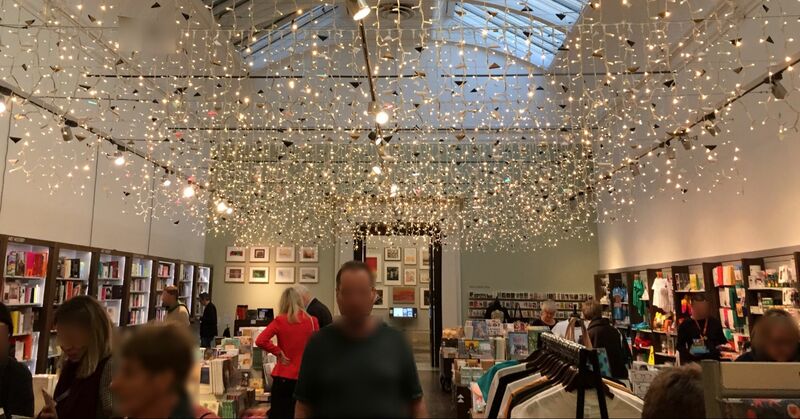 A selection of items from museum shops, inspired by works of art and literature, that would make excellent gifts for friends and family. 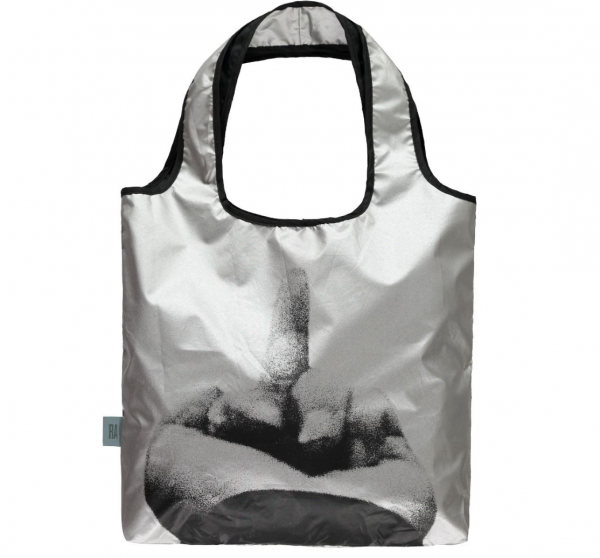 This bag takes inspiration from a series of photographs by Ai Wei Wei, in which he gives the finger to monuments that embody authority, empire and colonialism. A similar sentiment could be expressed towards many buildings in Oxford so the bag would make an appropriate gift for an Oxonian who wishes to carry books around and get a message across. 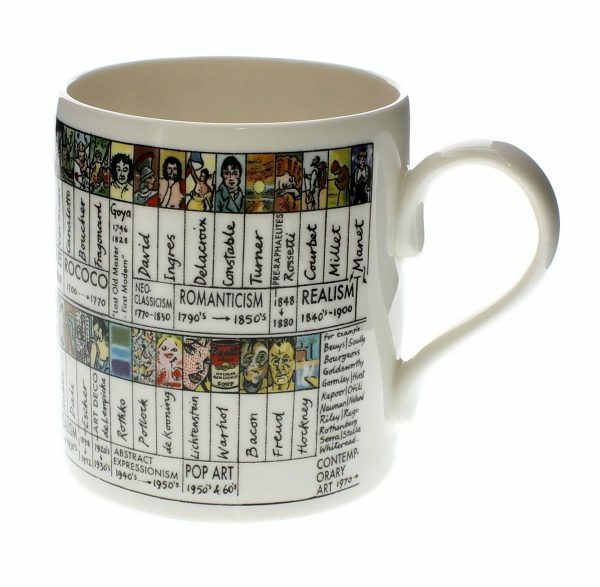 A bone china mug with a timeline of developments in art, from the stone age to today. The National Portrait Gallery also sells mugs featuring the Kings and Queens of England from 1066 or crucial characters from Shakespeare’s plays. The mugs are all charmingly illustrated and make for interesting perusing. 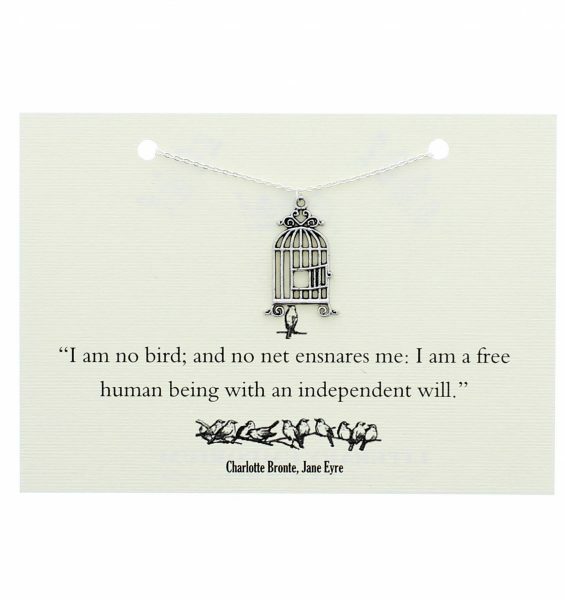 A birdcage pendant, meant to capture the scene where Mr. Rochester’s attempts to encourage Jane to believe he is to marry Blanche Ingram provoke Jane to express her feelings for him. The extent of her turmoil and desire to depart from Thornfield Hall lead Rochester to liken Jane to “a wild frantic bird”, to which Jane responds, “I am no bird; and no net ensnares me; I am a free human being with an independent will, which I now exert to leave you.” The line is a powerful expression of Jane’s wilful nature and longing for autonomy that deserves physical articulation; the pendant served this purpose, showing Jane’s efforts and successes in emancipating herself from constraining situations. The story that Van Gogh ate yellow paint in the hope that it would make him happy is a sweetly melancholy, but fanciful tale. 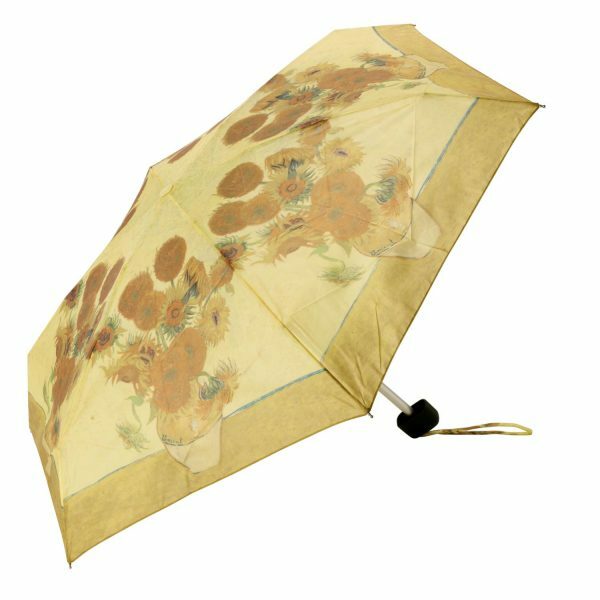 However, there is no harm in trying to brighten up a dreary day with a bright hued umbrella inspired by Van Gogh’s Sunflowers, unlike the various perils associated with the consumption of paint. 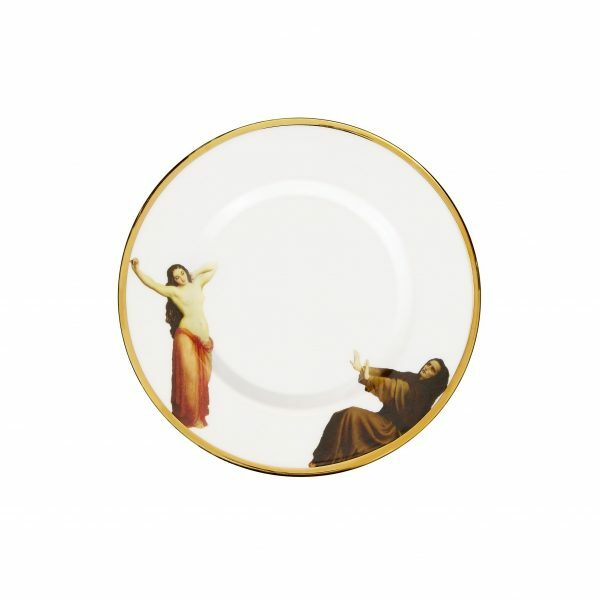 A bone china plate featuring Dominique-Louis-Féréol Papety’s painting, The Temptation of St. Hilarion. Hilarion was an anchorite, he withdrew from society and spent most of his life in the desert. There he suffered from temptations by the devil that could take many forms, including, as St. Jerome described, ‘naked women appear[ing] to him’. It undeniably makes for more interesting tableware than is typically on offer and would make an excellent gift for friends torn between the life of hermitry and hedonism. This cushion features Velasquez’s The Toilet of Venus, which was attacked by the Suffragette Mary Richardson in 1914 at the National Gallery. She slashed it with a meat cleaver after the arrest of Emmeline Pankhurst, saying “I have tried to destroy the picture of the most beautiful woman in mythological history as a protest against the Government for destroying Mrs. Pankhurst, who is the most beautiful character in modern history.” Richardson also disliked “the way men visitors gaped at it all day long”. Her statements reveal how differently people can respond to art, and the particularly strong sentiments this painting provokes, making it an ideal gift in cushion form by allowing the recipient to stare at, study or scar in their own time. A beautiful silk tie featuring one the seven Unicorn Tapestries, Netherlandish works from the late middle ages. The unicorn was known at the time for its purity, invincibility and the healing capacity of its horn. 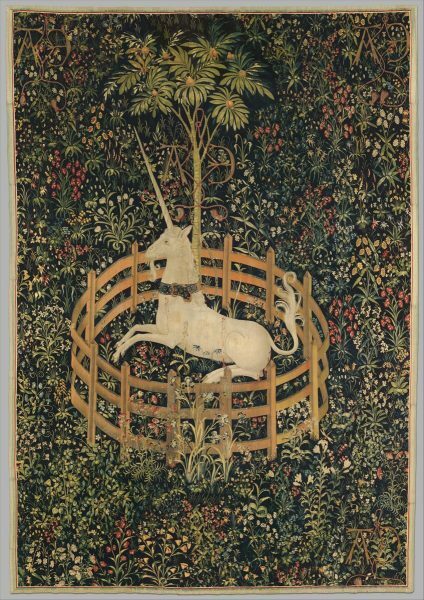 Some have interpreted the wounds on the right side of the unicorn in this tapestry, in the same place where Christ was wounded on the cross, to mean that the unicorn is a representation of Jesus. Others have interpreted the unicorn as a symbol of love, chaining oneself to a lover beneath a pomegranate tree, a symbol of fertility. However you interpret the unicorn, it is an enchanting image that adds tremendous character to a tie. Forming part of the range for the V&A’s exhibition on Frida Kahlo, these earrings are the work of fashion designer Carla Fernández, whose designs are inspired by Mexican history and ancient civilisations, as Frida Kahlo was. 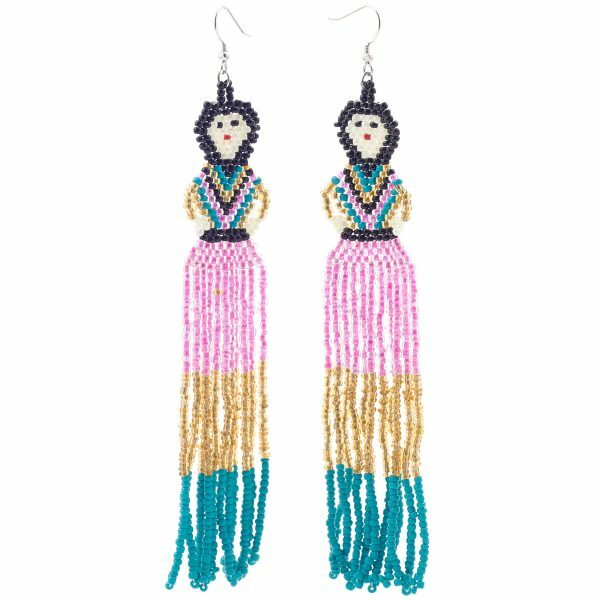 Fernández works in collaboration with indigenous communities to promote Mexican design, as seen in the use of chaquira beads, which are traditional in Mexican Crafts. 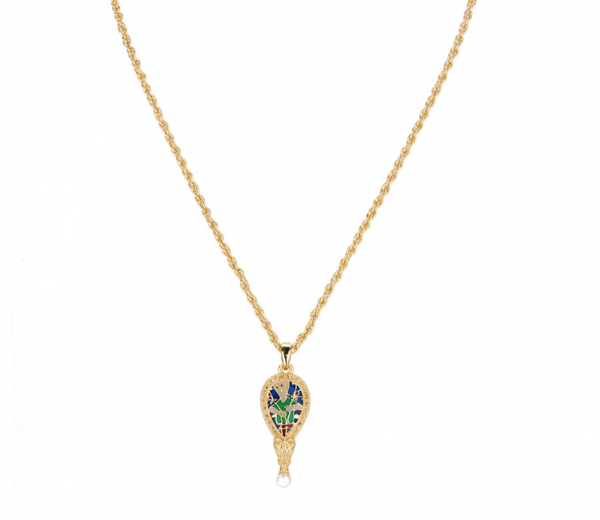 A beautiful necklace featuring a recreation of the Alfred Jewel, the work of an Anglo-Saxon goldsmith, usually on display at the Ashmolean but currently being exhibited at the British Library. It is believed to have originally served as the handle of a pointer stick to follow words in a book, but now makes a lovely wearable ornament. The jewel is also featured in the Ashmolean’s range in the form of a bracelet, brooch, cufflinks and earrings. 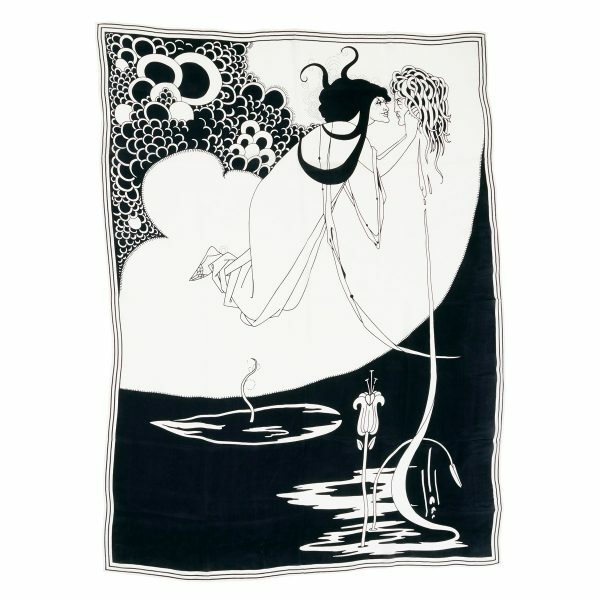 This silk scarf features one of Aubrey Beardsley’s illustrations for Oscar Wilde’s play Salome. When wrapped around the neck what is presented is a bold contrast of black and white that compliments any outfit, not the image of Salome bringing the severed head of John the Baptist to her lips, so the wearer need not be overly worried about alarming passersby but can instead reveal its design with discretion. 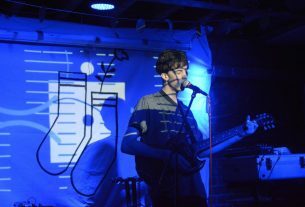 The scarf would serve well as a gift for someone who, like Beardsley, values beauty and self-expression over conforming to moral expectations.